Our community has 3,116 members, 568 online now. We’ve published 9,781 stories, shared 8,327 images, made 10,348 blog posts and written 121,558 forum posts. I never jerk awake. I open my eyes and listen before I move. Without going into the reasons why I forced myself as a young boy, to not be afraid of noises in the dark. My door was always closed and I never slept with a nightlight. I relish the dark. As I lay there, my head still on the pillow, my mind was trying to replay why I woke up. The room was dark. The only light in the room came from a small digital alarm clock with red numbers sitting on my nightstand. I listened to hear if whatever woke me up repeated itself. Only silence. My mind knew what it was, but the realist in me let it filter in slowly. It was a voice in my pillow. It was garbled. Unintelligible. As if you took your finger and strummed your lips. Yet I felt as if I heard it again awake, it might be clearer. I looked around in the darkness to see if there was more to the puzzle. I’ve done paranormal investigations for over 40 years. Been to many “haunted” sites and had many experiences. Over the years I have acquired several thousand dollars in equipment. Cameras, recorders, heat detectors, infra-red devices, sensors and what-have-yous. As an investigator, the one quality you must always endure to follow is never let your imagination control you. Deal with only what you know and can prove. Every noise in the dark is not a ghost. We call that debunking. Was I dreaming? Possible. But I know what I heard. My grandson has picked up my enthusiasm for ghost hunting. And Bigfoot hunting, but that’s another story. Every weekend when he spends the night with us, he and I watch ghost shows. His favorite is Ghost Adventures. It’s a cheesy over-the-top show, but he loves watching it with me. 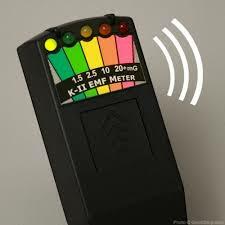 He loves to hold my K-II EMF meter. It has a series of lights from yellow to green to red. It detects changes in electromagnetism signifying a possible spirit disruption. He goes around the room checking for ghosts and gets excited when the lights flash. It isn’t always me though. Maybe three weeks later I am laying in the dark. My head on my pillow nearly asleep. I heard the voice again. The same garbled strumming of the lips sound. As if a goblin was talking.